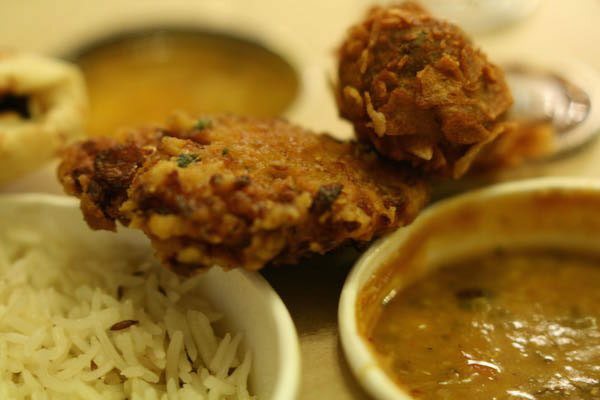 Takeaway food seems to have recently taken off in Brighton, and many restaurants are starting to deliver their high quality restaurant food to the comfort of your very own home. Chilli Pickle opened it’s Chilli Pickle Canteen a few years ago, due to high customer requests that they start delivering their delicious food to them at home. 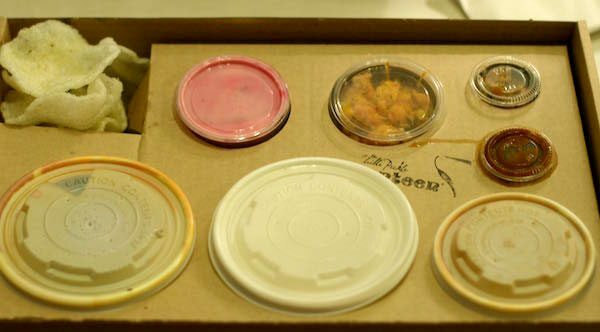 According to their fun comic, they were at first apprehensive about starting to offer takeaway, referring to what most Indian takeaways end up like when they arrive at your door – sauce heavy, greasy container mess – and didn’t want to ruin the quality product they already had. 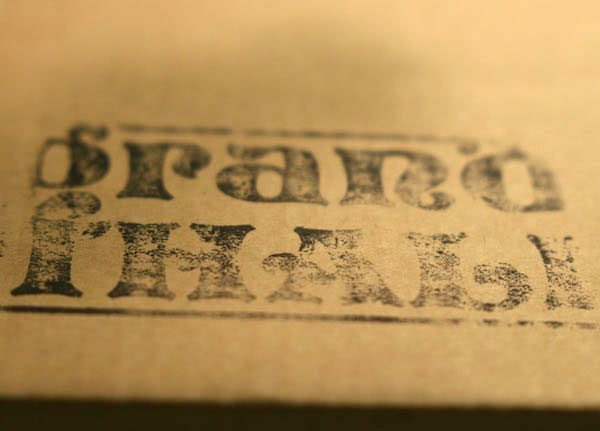 Both owners have travelled India extensively, and it suddenly clicked to them to serve traditional Thali’s in fun, cardboard packaging to match with the quality that their restaurant on Jubilee Street delivers. The menu is not extensive, which I love. It means that you don’t have to look through hundreds of different dishes (most of which taste relatively the same anyway). You can choose from either a Grand Thali box, a Railway Box, or a Biryani set. The Hydrabadi Chicken Biryani comes with Salan Sauce, Mango Chutney, Cucumber Raita, and Pappad. 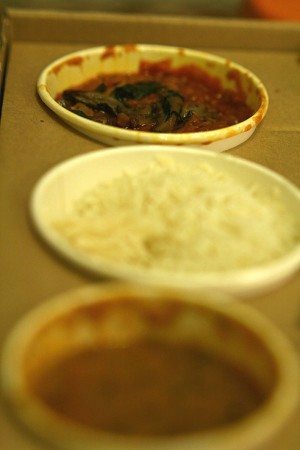 Both the Thali and Railway box come with lots of trimmings are you can choose from around eight main curries, with vegetarian or vegan options, as well as fish. The Grand Thali priced from £13.25 – £15.50 is exceptional value as it includes 13 different components, and is a great way to taste many different dishes at once. 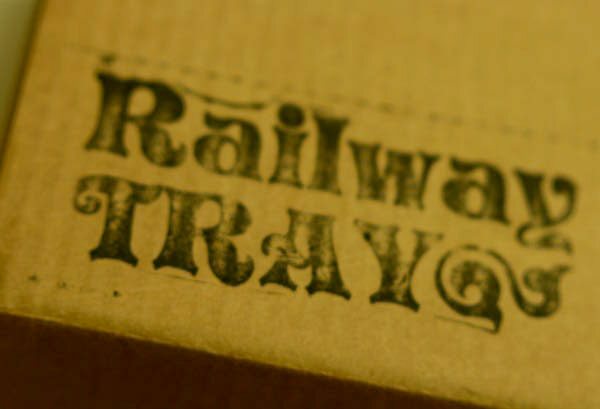 The Railway Box is based on traditional train food in India, and is priced from £12.25 – £13.50 and includes a curry of your choice alongside seasonal side dishes and chutneys – which is also a wonderful mix! You can also order the curries on their own if you didn’t fancy the whole box, alongside sides and sundries, so is great for sharing with friends. I had a friend down for the weekend, so we decided to order a few things to share on a Friday evening, as it was cold outside and spending the evening in comfy clothing in front of the telly sounded like a lovely treat! The website is easy and fun to use too, it is really clear and simple to find your way around. You can earn Chilli Pickle rupees with every order that you place, and then use them towards a meal once you have earnt enough. We decided to go for one of each option, so a Grand Thali, a Railway Box and a Hyberdad Chicken Biryani and we were going to share all three. The food arrived quickly, so I think we were lucky as it was a Friday evening. I do believe that during the weekend there can sometimes be a bit of a wait, but please be patient, it is totally worth it! The delivery driver was friendly and came right to the door, it was very exciting opening the brown paper bag, with two large boxes inside as well as the biryani, it smelt delicious! We grabbed some plates and cutlery and dug in. As I mentioned when ordering that I was gluten intolerant, instead of naan bread we received a lovely rice pancake topped with chillies and peppers, that was nice and light and fluffy and perfect for soaking up the curry sauce. As I mentioned earlier, the Chilli Pickle Canteen Grand Thali, comes with 13 different components so you really get a wonderful selection of textures, flavours and smells, it really was exciting! For the Grand Thali we chose the Himachal chicken curry which had tender chunks of chicken, the sauce was rich and spicy, with so many fresh flavours. It was obvious that care and passion was added with the ingredients. The seasonal side was the Canteen daal which was full of spices and flavour, and would have been delicious all on it’s own. 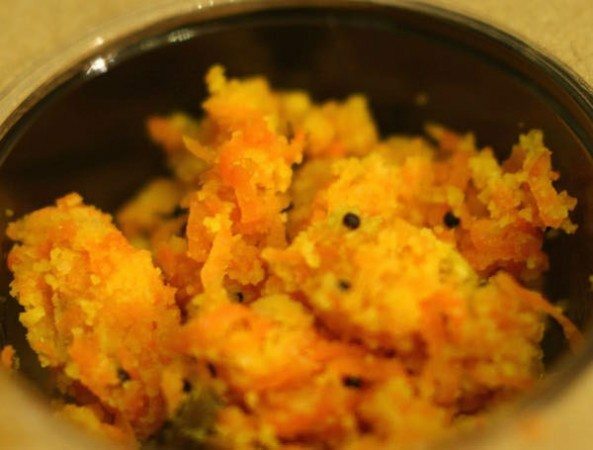 My favourite chutney was the mango and apricot chutney – sticky and sweet, with a thick texture that complimented the curry and daal so well. There was a beetroot and cumin raita that was earthy, but light and refreshing, and a sour tamarind chutney to add a sour element to the plate. I loved the mixed veg and cheese crispies, we all fought over them and before I knew it they had all gone! 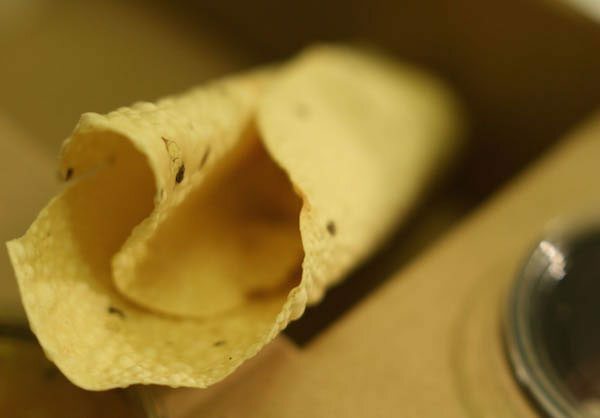 The poppadums were really crunchy, and not oily at all, and they had been carefully rolled which I had not seen before! 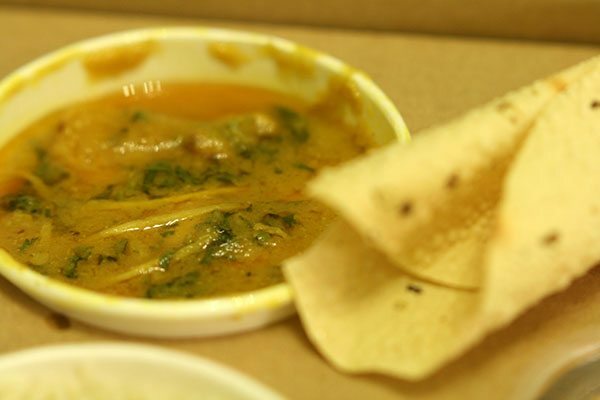 For the Railway box we had the Chennai fish curry, that was made with seabass, and had curry leaves, coriander, and fresh tomato, it was beautifully light and fresh and the fish just fell apart in my mouth. This really was a treat of a takeaway, and not much like any other Indian food experience I had had before! The Railway box also came with daal, and a rice pancake (instead of naan), alongside a few tasty chutneys and pickles that it was hard to know what to eat next! The biryani was served in a brown cardboard box, and smelt incredible when opened. The yellow rice was fluffy and coated with all the fragrant oils and spices. There were moist chunks of chicken thighs throughout, and it also wonderful notes of lemon and saffron, making it a truly special dish. I have only just started ordering biryani recently, as I found out the work that goes into making a really authentic one, and if they are made properly, it can be truly delicious! 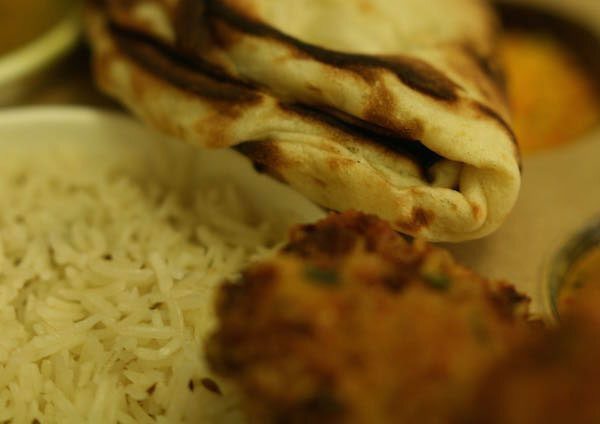 The biriyani is served with poppadums and chutneys so you can add extra flavours to the dish. Afterwards, we were all truly stuffed and feeling incredibly satisfied and pleased with our experience. It was like no other Indian takeaway that I had had before, and a bargain at that! It may appear a little pricier than your usual takeaway curry shop, but I don’t think you could even compare, when you look at the quality and how much you are getting for your money, it works out the same price wise but you are getting so much more in flavour and quality. 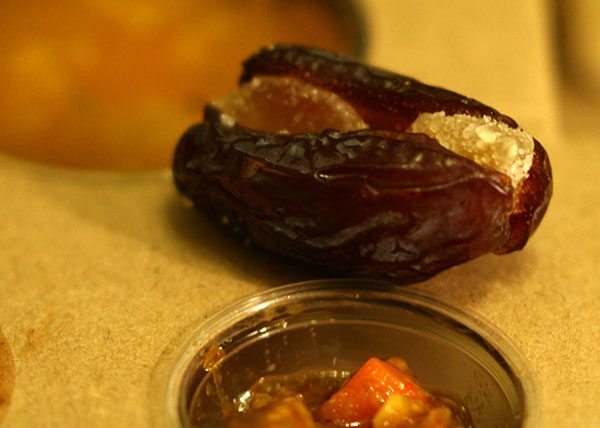 If you are yet to try Chilli Pickle, whether it’s eating in the restaurant or ordering to takeaway, I would highly recommend indulging in a Grand Thali or a dish of your choice one night soon so you can experience the fun feast that Chilli Pickle has to offer and special quality that it delivers!